Purpose: To remove nail polish from nails. Ingredients: propylene carbonate, soybean oil methyl ester, tocopheryl acetate (i.e, vitamin E oil). It's official! I really like this nail polish remover. There is no strong, chemical smell like most nail polish removers you find on the store shelves. In all honesty, I do not recall smelling much of anything while using this remover. This nail polish remover is also very moisturizing. Most commercial removers that I've used leave my nails feeling extremely dry. In contrast, this remover leaves behind a light oily film which hydrates the nails. Lastly, I like that this remover works on both organic and non-organic (e.g., Revlon) nail polishes. It wiped away both sets of polishes more so effectively than commercial removers do. 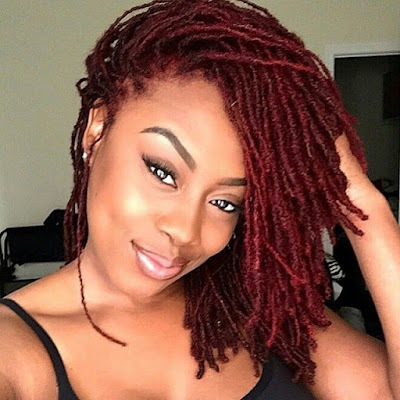 A little remover goes a long way. 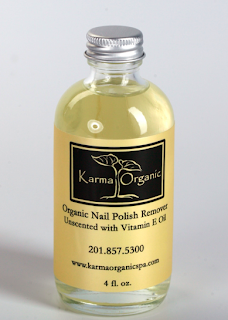 RATING: Overall, I give the Karma Unscented Organic Nail Polish Remover 5 out of 5 stars.